The team at Dubai International Hotel (DIH) had great many reasons to cheer as Ahlan Business Class Lounge by DIH has been recognised as the winner of the Priority Pass Middle East & Africa Airport Lounge of the Year Award. 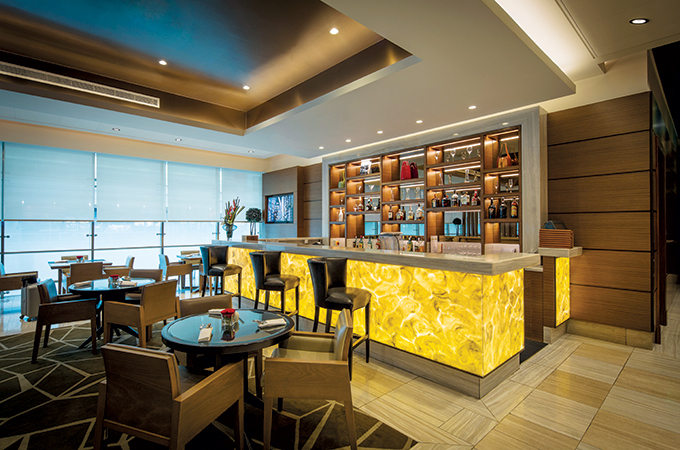 Now in its 13th year, the awards recognise excellence within the world’s largest independent lounge membership program that includes over 1,000 airport lounges, in over 500 cities. The Ahlan Business Class Lounge offers guests a dedicated space for all personal and professional requirements. Featuring exclusive Mmeet and greet services, world-class food and beverage options, Wi-Fi connectivity, express spa treatments, a child-friendly play area with special kids menus, business centre, and smoking area, the lounge is a truly a haven of relaxation and convenience within one of the world’s busiest airports. “Our entire team is committed to offering guests the utmost luxury and comfort before and after their flights. This prestigious honour is testament to the dedication of our team, to whom we dedicate this award. We are also grateful to all our members who have to voted for us,” said Jan Freida de Leon, manager of Ahlan Business Class Lounge.